Applications are invited from dynamic, qualified and energetic candidates from Lahore. 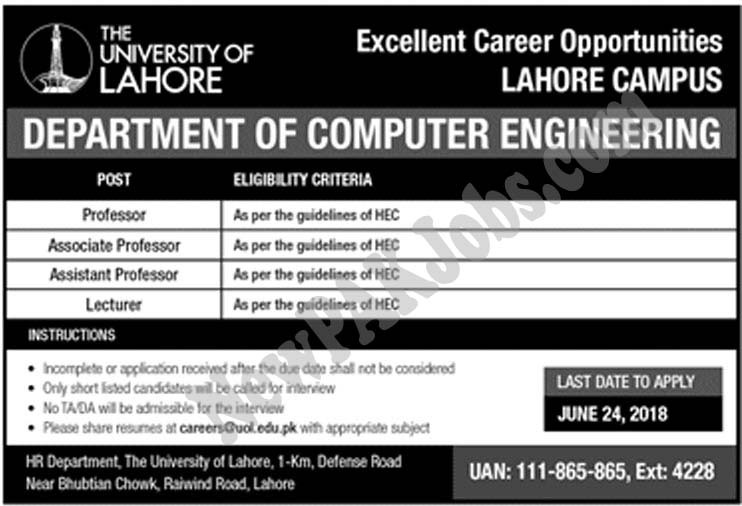 Candidates must have a qualification of (As per HEC ) relevant experience in relevant field will be preferred however it is not necessary for all the posts. Candidates who are eligible and fulfill the given criteria can apply for this post(s). The application is required on simple paper along with photocopies of all essential documents such as CNIC, qualification degree (Credentials) diploma (if any), Experience letter (if any) passport size photos with the blue background. Candidates must send the application before the last date otherwise the application will not be accepted after receiving deadline. We recommend you please do not wait till the last date and apply as soon as possible.